My hair has changed DRASTICALLY since moving away from the ocean. I miss how hydrated my hair always was when it was always in the sun and salt water. Now that I'm living in a cold climate, I've been looking for other ways to maintain healthy hair. 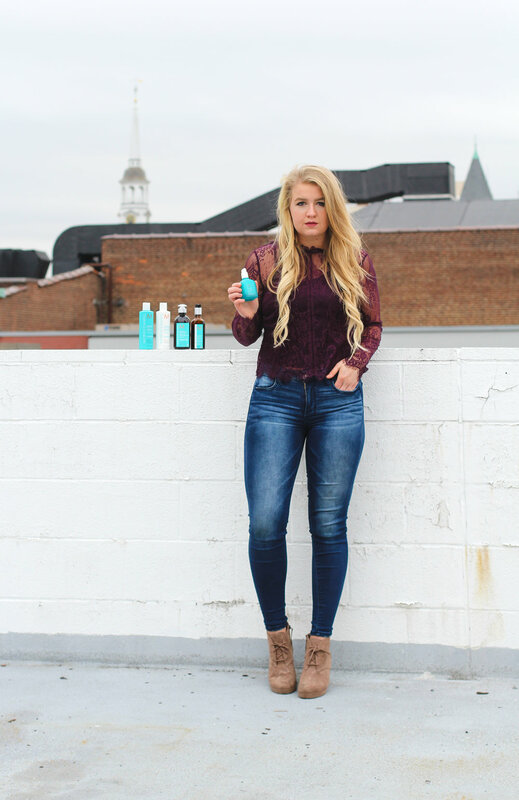 Here are five of the best ways that I have found to keep my hair hydrated this winter! Make sure to always cover your hair when going outside! Although wearing hats isn't ideal for keeping your hair looking good all day, it's more important to protect your hair in the winter! Freezing temperatures, wind, and snow can damage your hair over time. Always keep your hair protected by wearing a beanie, hat, or hood during the winter. The best way you can protect your hair is by investing in great hair products that strengthen your hair. 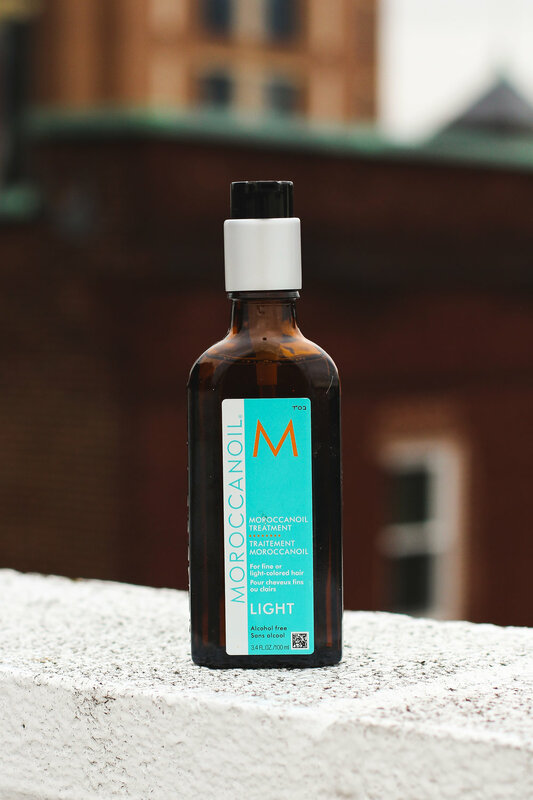 I use Moroccanoil Treatment Light to keep my hair healthy and hydrated all year round -- but it's especially important that I use it in the winter! This hair treatment is formulated for light-colored hair (if you have darker hair, go with this one instead) as it's infused with argan oil and other vitamins that give your hair a beautiful shine while keeping it hydrated. I use this product for conditioning, styling, and finishing! It's important to not wash your hair everyday because it strips the hair of it's essential oils. It can also cause your hair to experience excessive drying, especially during the winter months! Try washing your hair 2 or 3 times a week to keep your hair hydrated. 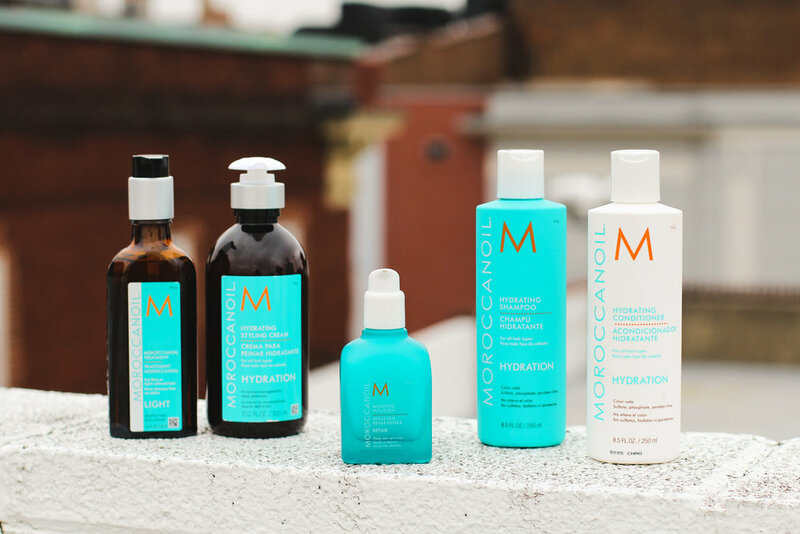 I wash my hair with Moroccanoil Hydrating Shampoo and Conditioner because it keeps my hair hydrated between washes. It's great to use during the winter months because it gives your hair much-needed moisture! This shampoo and conditioner contains Vitamins A and E, argan oil, and red algae to keep your hair looking and feeling healthy. Try using them a few times a week and see your hair start to look healthier! I always find it SO easy to embrace my natural hair in the warmer months, because I can just throw it up and run to the beach! But during the colder months, I tend to use heating tools on it every single day. My hair is naturally wavy, so I like using a blow dryer and hair straightener to leave it sleek and straight. Unfortunately, using heat this often can leave your hair dehydrated and even lead to breakage. Limit how often you use heat, and your hair will thank you! Before leaving your house to go into freezing temperatures everyday, be sure to use a hydrating styling cream on your hair to condition and hydrate. 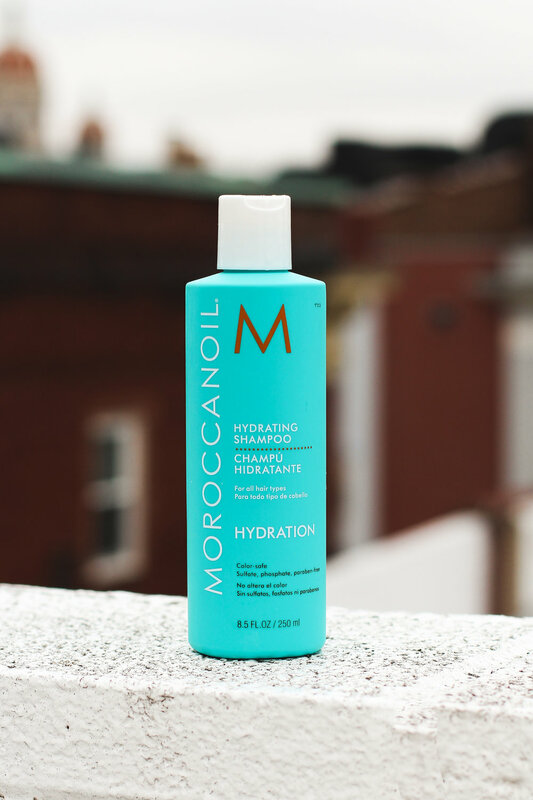 I like to use this one from Moroccanoil because it not only keeps my hair moisturized, but it also tames frizzy hair! Something else I like to use is Mending Infusion. It's a split end mender that is infused with vitamins to nourish and strengthen hair that has been damaged due to frayed ends, winter dryness, and color damage. These products are great to use in the winter to protect your hair against dryness! Follow these tips to keep your hair hydrated all winter long! How do you keep your hair moisturized during the winter months? Scroll down for more photos and comment below! 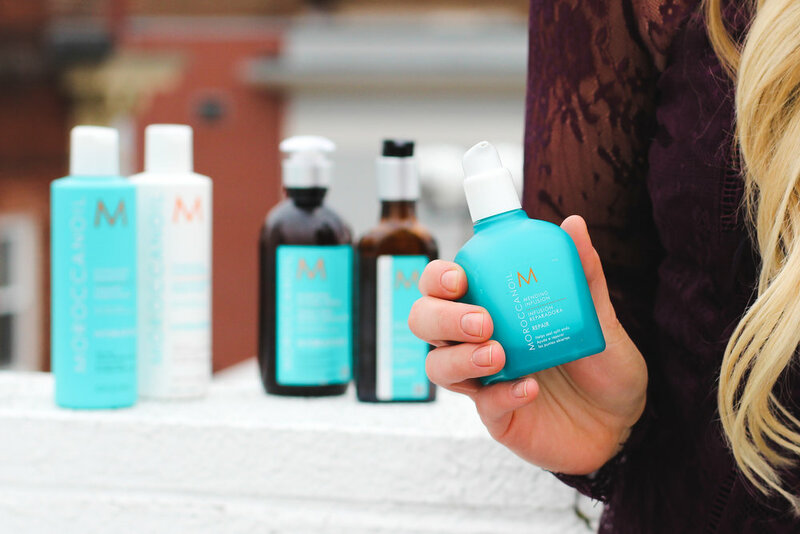 This is a sponsored post written by me on behalf of Moroccanoil. Thank you for supporting the brands who support this blog! All opinions are my own.